Frequent Pattern Mining is an important data mining task and it has been a focus theme in data mining research. One of the main issues in Frequent Pattern Mining is Sequential Pattern Mining retrieved the relationships among objects in sequential dataset. AprioriAll is a typical algorithm to solve the problem in Sequential Pattern Mining but its complexity is so high and it is difficult to apply in large datasets. 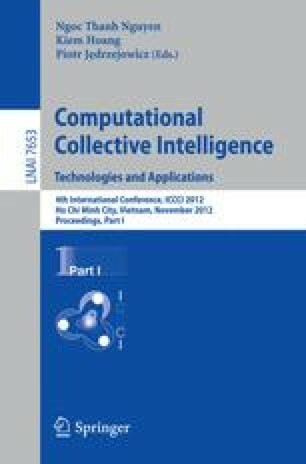 Recently, to overcome the technical difficulty, there are a lot of researches on new approaches such as custom-built Apriori algorithm, modified Apriori algorithm, Frequent Pattern-tree and its developments, integrating Genetic algorithms, Rough Set Theory or Dynamic Function to solve the problem of Sequential Pattern Mining. However, there are still some challenging research issues that time consumption is still hard problem in Sequential Pattern Mining. This paper introduces a new approach with a model presented with definitions and operations. The proposed algorithm based on this model finds out the sequential patterns with quadratic time to solve absolutely problems in Sequential Pattern Mining and significantly improve the speed of calculation and data analysis.